What on earth is this? The trapped echoes of a scream, the memory of a squat clearance now reinstalled as an art piece somewhere deep in the sewers of Rotterdam. Man, this is #memory music par excellence. Pig Frenzy – an angry young outfit from Roffa – shuffle round the most basic of chord progressions, set to “full” or “stomp” speed. Bach it ain’t, kittens. What it is is a blast, nervous, restless, full of the kind of anger generated when some Suit directly in front of you in the queue for the Smullers wall has just snaffled the last kroket. Cnut. 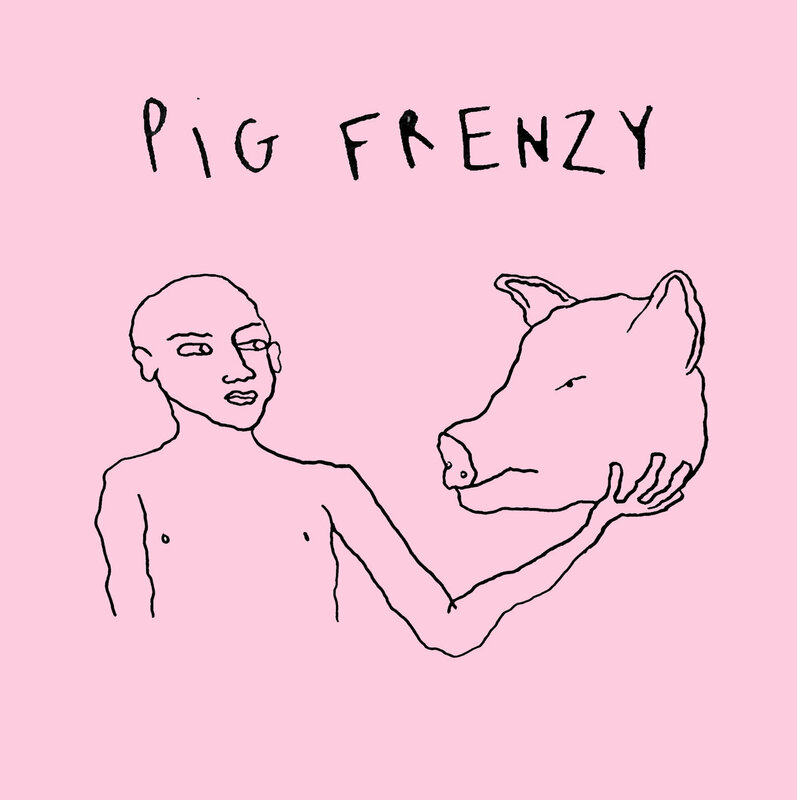 Nodding to Warsaw now and again as well as some kind of broken down rockabilly, the ‘Pig Frenzy’ EP crashes and bangs through its allotted 12 minutes and 9 seconds like an angry wasp stuck in a room. The tinny sound could have been recorded somewhere in Wormer back in 1982, angry punk with a veneer of Goth – a Dutch take on a Southern Death Cult bootleg maybe? Who cares, a classic howl updated for now, in all aspects.